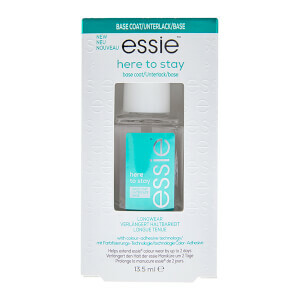 The essie 'Good to Go' Top Coat locks in nail colour to keep your manicure looking fresh and flawless for longer. Fast-drying, the clear top coat glides effortlessly over nails, delivering a high-shine, protective coating that seals in colour while providing a beautiful glossy finish to your mani. Apply one coat of top coat following application of any essie base coat and any essie nail colour. Butyl Acetate, Ethyl Acetate, Cellulose Acetate Butyrate, Isopropyl Alcohol, Trimethyl Pentanyl Diisobutyrate, Adipic Acid/Neopentyl Glycol/Trimellitic Anhydride Copolymer, Ci 60725 / Violet 2, Benzophenone-1, Dimethicone.